Soco is located in Brooklyn. 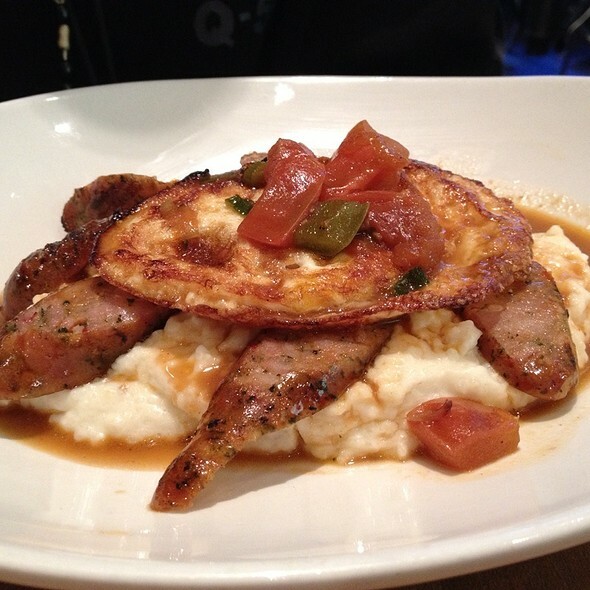 We serve Cajun-Southern food. The food was good. However it took long to come out. People who sat down after us received their food before us. Ambiance was nice, but place is extremely loud. Would still recommend. My family and I dinned here on Sunday to celebrate my fathers eightieth birthday. Although the crowd here is fairly young, it was extremely noisy. Most of our conversation time was at a yelling volume. After a underwhelming meal, we anticipated a birthday acknowledgement from our waiter. He ultimately came with a strawberry shortcake desert for him and while my father indulged he gagged on a piece of a plastic glove. How disgusting! and embarrassing, to say the least. I brought this to the attention of the manager, and although she was apologetic, she comped a glass of wine! Terrible... at this point, everyone is ready to leave. I let a day or so pass and called the restaurant to express my disappointment and displeasure. Finally Speaking to a third manager, we ultimately agreed to an apology and a complimentary dinner for my father. I gave her his number and she promised to call him the following day. Day 2, no call. Needless to say, we will not be returning. Unprofessional, Unsanitary, and Untruthful. I enjoy going here. The service is slow when there is a crowd of customers (which is frequent. Substitutions are not allowed, however the meals are put together well enough that I do not need to substitute. There is music. I love SoCo! This is my favorite brunch spot EVER! no one has come close! Food is always on point! 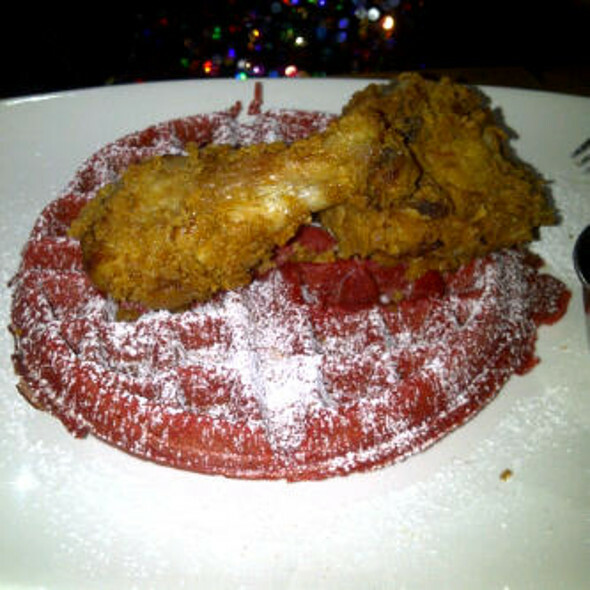 Chicke and Red velvet waffles should be voted the world's best! I am never disappointed and the staff is lovely. The owner marc is a gem always pleasant and knows how to run a business. He works that restaurant by seating, bring food out, refilling drinks! Always a pleasure! Music too loud otherwise nearly perfect! My wife and I had a good time. We went there on a Thursday night so we didn't have to deal with a crowd. We got seated and had our meals brought to us very quickly. Our waitress was very attentive and good knowledge of the menu items. We will definitely eat there again. The food and service was amazing. We had chicken/waffles, vegetable lasagna, pan fried catfish, spare ribs and wings. I must say no one had any complaints. It was my first time going to this establishment and I enjoyed myself. Amazing service, food, and ambiance. The food was amazing as was the appearance of the restaurant. Even the staff was great. However, we made reservations for 3pm. I understand it's a popular establishment and with anything that trendy its bound to be crowded. But there was no reason I can think of to make a reservation and not be seated for over an hour. The only reason we didnt walk out was because my daughter requested Soco for her birthday brunch and we were literally STARVING by the time we were seated. Made it there earlier than my reservation and still had to wait 35 minutes past the reservation time to be seated. This was once my favorite brunch place but everything seemed different. The food was nasty, the brunch drinks are no longer unlimited and way more expensive, my waiter was missing the entire time. This will officially be my last visit. The food & drinks were delicious. We even ordered a to-go of the same meal we ate at the restaurant (shrimp, lobster & grits). It definitely helped to have a reservation. Downsize was that the wait staff was stretched & it took an extended amount of time for services (i.e. : refills, checkout, etc.). We definitely would go there again when we're in town. From the entrance to our table my service was AMAZING. My roommate and I were serviced by Crystal who honestly did a great job. She was honest with her recommendations and very attentive. We didn't fine anything wrong at all. The food was really good. My friends had the chicken and waffle and they all agreed that it was filling, the waffle was fluffy and the chicken was nice and crispy. I had the shrimp and lobster grits which was good and it came with a spicy sauce. We got a pitcher of rum punch however it could’ve been stronger. The weather was nice and we were able to eat outside. The only complaint was the sound system was terrible. Everything was on point. The waiter kinda dropped the ball a lil people who sat down after us were eating before us but everything else was so great we kinda over looked it. The food is amazing!!! My only issue was that when trying to substitute in green beans for my mashed potatoes I was told the restaurant doesn't allow substitutions. While I respect the policy, under advisement by my doctor, I've been told to stay away from carbohydrates and high starch vegetables. 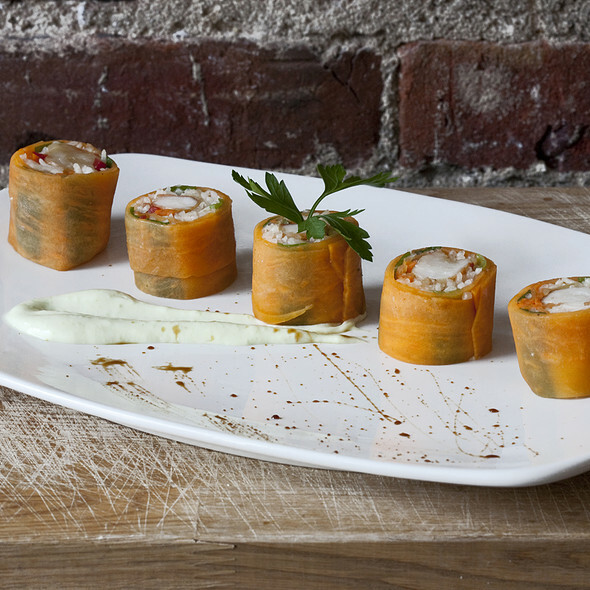 It's rare these days to find restaurants that won't cater to dietary needs, especially if it's an easy swap. (I didn't ask they prepare the food any differently than to put a green instead of a starch on my plate) The potatoes remained uneaten and became wasted food that could have gone to a person in need. If such a policy exists, it should be labeled on the menu. Instead, the only fine print was in regards to gratuity. I also looked at their Open Table page and standalone website and couldn't find anything regarding this. While the food tasted good, I'd be hesitant to come back based on this policy. The food and waiter service was great. The only issue we had was that reservations were for 8PM and we were not seated until 8:30. From prior experience if you have reservations and show up on time your table should be ready or available within a 5-10 minute timeframe not 30 minutes. The food was absolutely delicious and our server Noella along with the other staff members made it an enjoyable experience!! The food was prepared with love!!! We were visiting from DC and will definitely come back again!! !.....And again!! Great customer service and Food came out very quick . I always love the food!!! The grits are amazing but the music is not way too loud. The hostess was so rude during our visist on Sunday 3/31. We had a 2:30 reservation and every time I tried to speak to her regarding my reservation, she would put her hand up to my face and walk pass. Worst service from a hostess I’ve experienced in any restaurant I’ve been. This was my third time here and it was a great time as usual. I will definitely be going back. The restaurant was clean, the music was very, very loud and the noise level was even louder. each other's ears! I have never been to such a loud restaurant. The food was good, not great, just good. The best part of our luncheon was the waiter - Lucas was great, very attentive, he fulfilled each request and he was quite amiable. The noise would prevent me from recommending this restaurant. There was a dinner party next to the table I sat at. They were extremely obnoxious and loud-classless group of people. There was no regard for others. I felt like the manager should have come out and said something to them. It put a real damper on enjoying dinner. The food was OK. The drinks were mediocre. I don’t know if I would give this place another try. 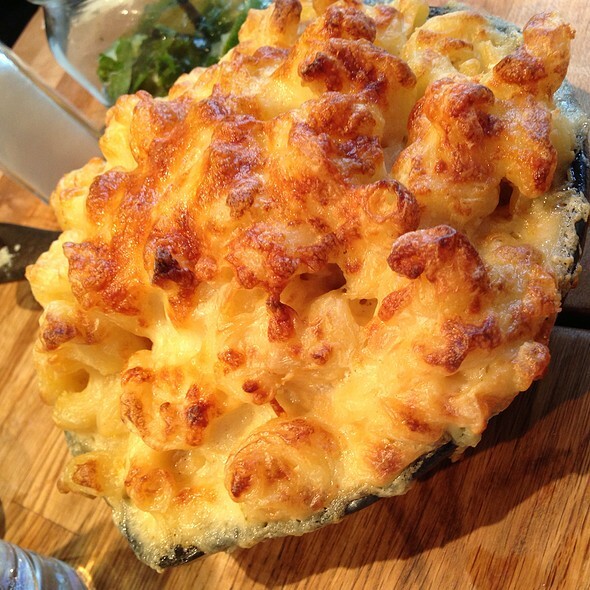 You have to try the Mac and Cheese ! Have to! SO GOOD. I been there a couple times and the music is really good and lively, the ambiance is cool, and it’s a nice place for either a casual dinner to have some fun or more dress up for celebrations. 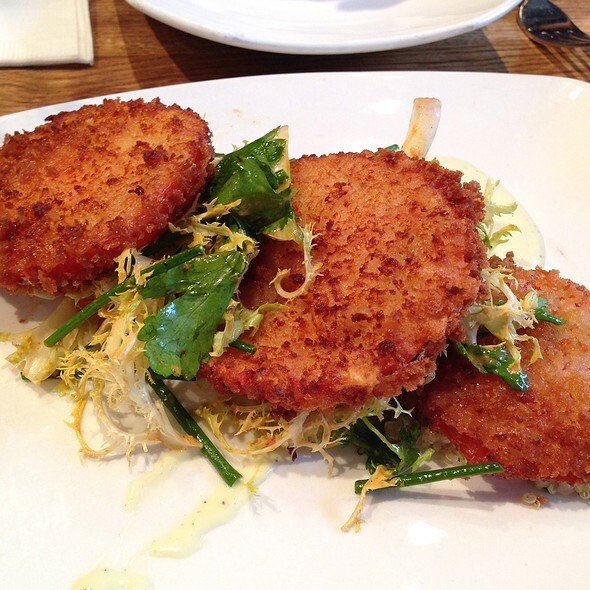 SoCo has amazing food and wonderful service! I would certainly recommend anyone to try Soco for a group outing, a Sunday brunch or a date with your significant other. Booked reservation online at 530pm..arrived at that time and was told had to wait until 6pm. Hostess was hostile and rude. Music was way too loud. Food was dusgusting. I ordered the jambalaya..absolutely disgusting and the short rib pizza flatbread which was my favorite is now discontinued. Never again. It was an amazing day and our waiter was so nice and friendly!! 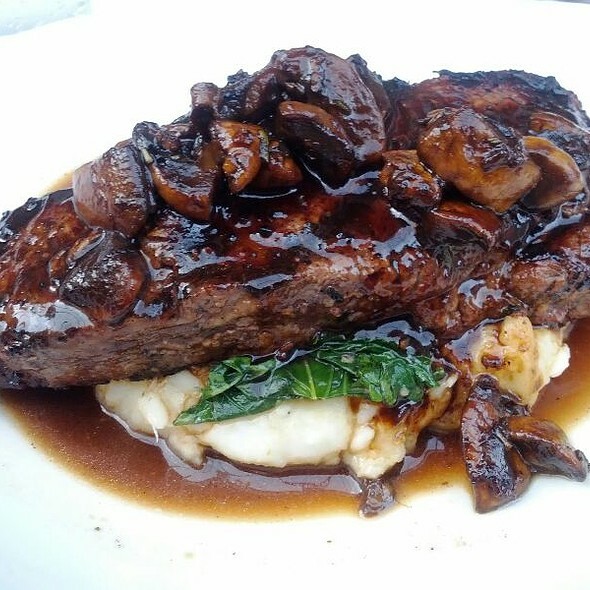 The food was delicious, the service was great and the ambiance was good as well. I will be returning. 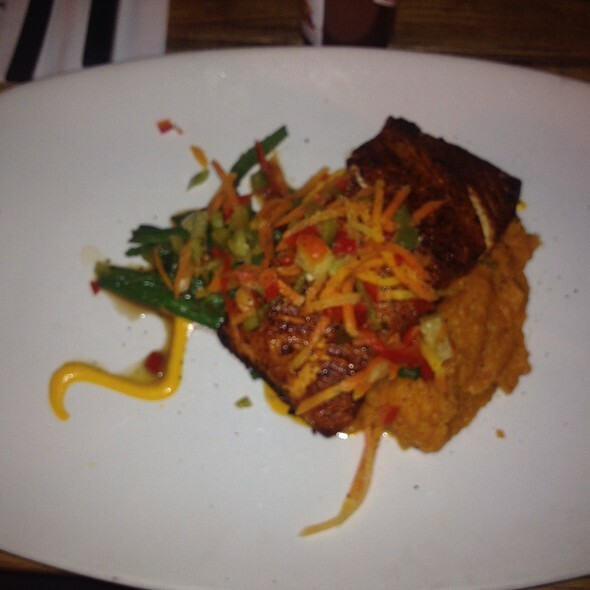 As usual the food was extremely flavorful & the service was excellent! WE WAITED OVER AN HOUR AND A HALF FOR OUR FOOD TO COME. The ambiance of this restaurant is very modern. 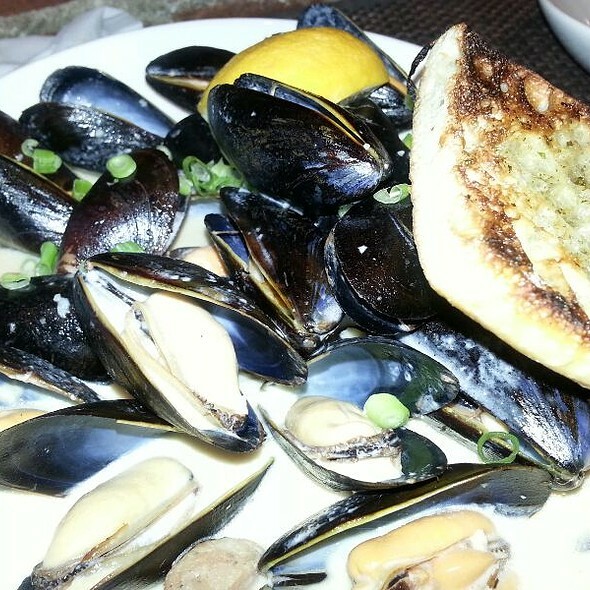 There are a wealth of choices on both the food and drink menus. The establishment is cozy so be prepared to be very close to the people sitting in your areas. 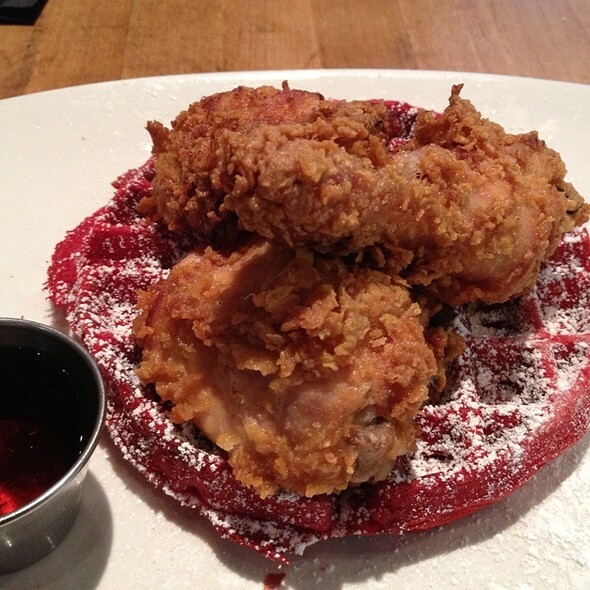 The chicken and red velvet waffles were delish. The waffle was prepared where it had just the right amount of sweetness that it didn't require much syrup. The portion sizes were fine where you will leave there quite content. I've been to Soco all of three times and I've always had a great experience. Drinks are good, food is good and service was on point. We were a half hour late for our reservation but the hostess was very accomodating and seated us right away. One of my favorote spots in Brooklyn.